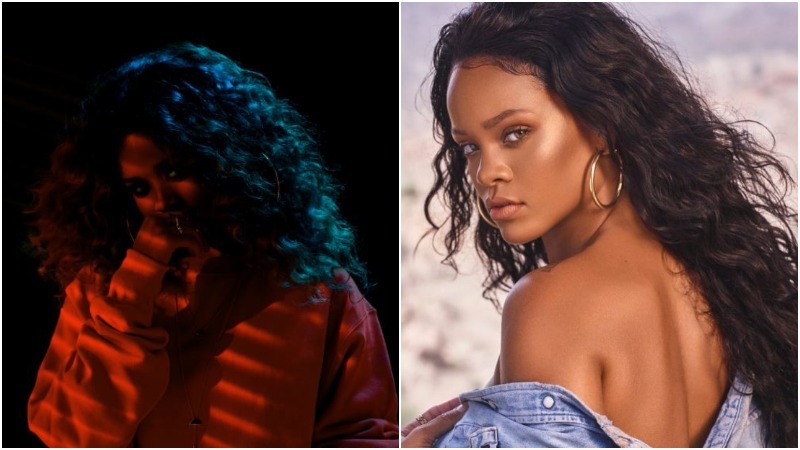 H.E.R., the mysterious R&B singer who emerged on SoundCloud last year, has gained a lot of popularity in the last few months. She’s already got support from heavyweights like Alicia Keys, Pusha T and more. And of course, there is Rihanna who put her official stamp almost a year ago when she posted an intimate video of herself jamming to one of H.E.R.’s standout songs, ‘Focus‘. RiRi also followed the singer shortly after that on the social media platform. H.E.R., whose real name is Gabi Wilson, is currently on tour in Europe where she sat down for an interview with German journalist Malcolm Music. H.E.R. talks about the current state of R&B, how European fans are different than those in the U.S., the other young R&B artists she likes, and more. Around the 8 minute mark, she reveals that she has collaborated with Rihanna on music recently. When asked about details, she says they have “some secret projects” coming. Only time will tell what this will lead to. Check out the interview below.